You are here: Home / Wildlife / Hello, baby! Well look at this! 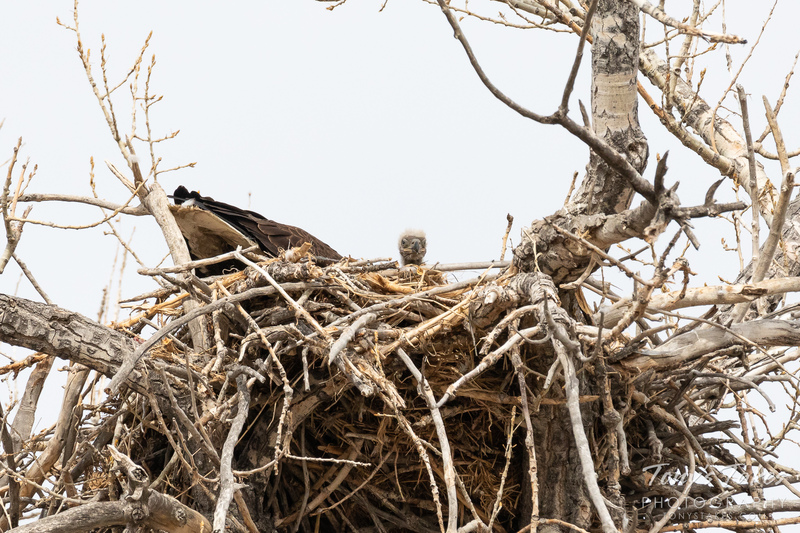 I spent my morning at my favorite bald eagle nest and while I got some nice shots of dad and mom, I hadn’t seen any little ones. Every now and then I thought I saw movement in the nest but no confirmation. After three hours I was getting ready to pack up and head out when suddenly, this little bobblehead appeared! So darned cute! It only stayed up for a minute or two but I was glad to have the confirmation of a little one. I do suspect there might be another because, as you can tell, while this one was looking up, mom appeared to be tending to something in the back of the nest. 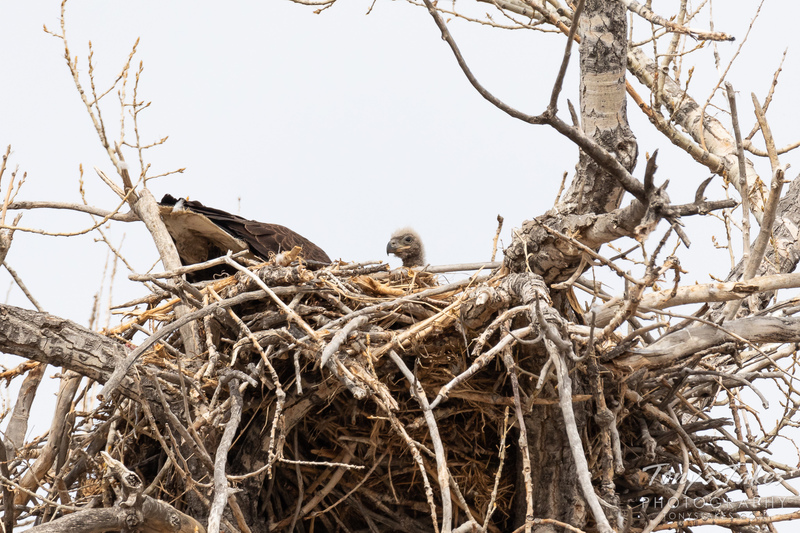 I’ll be anxious to watch this eaglet grow in the coming months.